Monitoring the job activity is crucial in the construction industry. Adagio has catered software to make monitoring and managing job completion along with costing estimates and actual spending. Control distribution, job costing, not-for-profit budgeting and project management through the Purchase Order and Inventory Receipts system. A centralized module where users can view and manage current bank balances, cash position, receipts, and transactions from Adagio Payables. Integration of payroll and job tracking allows for single entry of information for the user. Merging these features creates an easy and focused user experience. Fulfill all of your Payroll reporting needs such as Certified Payroll requirements. Create unique invoices that cater to individual customer needs and requirements. 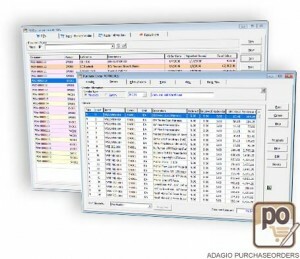 Adagio Invoicing can be integrated with job tracking to maximize job management functionality.